Thank you, London! What a fantastic week we’ve just wrapped up. Our clients and partners gathered to swap stories about the daily adventures of working in cybersecurity and put their skills to the test. I think it is safe to say Master Skills London was a phenomenal success. There has never been a greater need for community and camaraderie in the security field than there is right now. Security is a team sport, and we are hoping to bring our security clients and partners together as players to tackle the most significant challenges the industry faces today. (1) Class presentations can be found on the IBM Security Learning Academy here. Note: This site requires your IBM ID. If you're not already logged in, please click on the orange [Continue] button. Once logged in, click on your track, then click on [Enroll me] button to access class presentations. (2) Your feedback will help shape future Master Skills. - Visit this link, click on [Continue], and log in with your IBM ID and password. Select the track you attended and take the survey. Test your knowledge, and when you pass with a score of at least 80%, you will be eligible to earn the IBM Master Skills digital badge credential. To get started, on [Continue], and log in with your IBM ID and password. Select the track you attended. 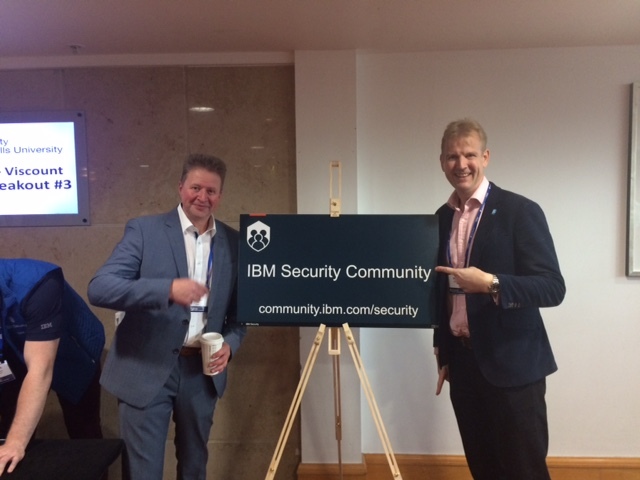 (4) Tell us about the IBM Security Community in this 3 question survey. Help us improve our user group experience. I’m looking forward to seeing you all in the future (both online in the community and at other events) and can’t wait to see what’s in store.